As other writers and artists know, it’s hard to tell your story in one fell swoop…or even two. Unless a person has chosen to write a comprehensive autobiography, or has a highly organized thought process, it doesn’t usually happen. So it is with my creative story. 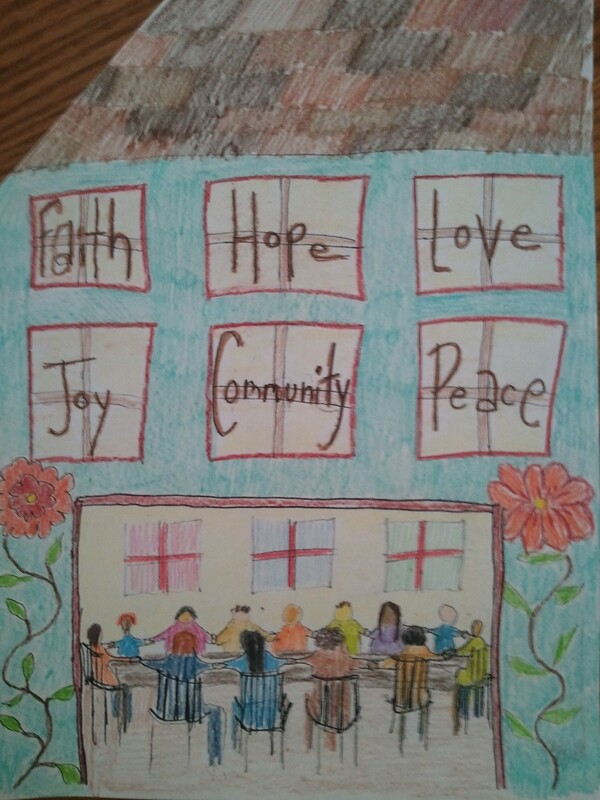 Reflecting back on the past few years, I can say with confidence that I wouldn’t be blogging and sharing my art today if I hadn’t worked at our local food shelf. 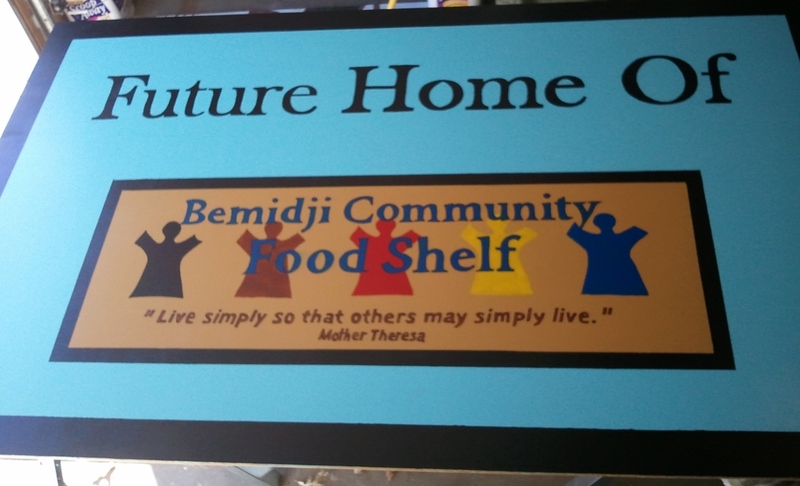 From January, 2011 through September, 2013, I served as a board member for the Bemidji Community Food Shelf, BCFS. This organization is a collaborative effort of several area churches to help the needy in our area. Each participating church appoints a contact person, who then has a seat on the board. Board members communicate information, help schedule workers and assist with various projects. In June of 2012, I attended the monthly board meeting…business as usual. I had been making art for about 18 months, and was getting antsy to do more. At this meeting, the food shelf coordinator mentioned that the United Way was creating a non-profit “village” for the county fair, and for a $50 fee, the food shelf could submit a canvas to publicize itself. He stated that he thought it would be nice if a board member could do it, but if not, he would ask an artist friend. I found out while doing the project that the United Way was going to put the lettering on each canvas, so I had to change the presentation a bit. Finished canvas – remember I was still technically a beginner! At this same time, BCFS was preparing to relocate to a larger facility. The coordinator asked if I would make a “Future Home of….” sign, so they wouldn’t have to pay for a sign that would only be in place for a short amount of time. It was easy to say “yes”. No prayers required! 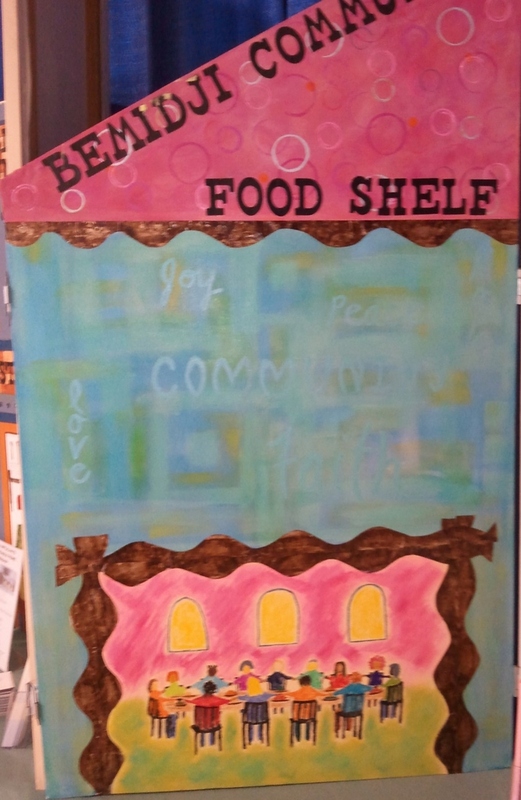 4’x6′ – It was fun to work on a larger board, and I got to choose the colors and layout, utilizing the Food Shelf’s logo. Here ends part 1 of my food shelf experience! I can hardly wait to share part 2!